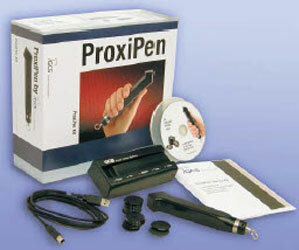 Detex ProxiPen Kit, for ships, marinas, prisons, assisted living facilites, municipalities, condo associatons, pool services, security patrol companies, anywhere you need to show a "point" has been checked. EASY SET UP, FRIENDLY USA TECH SUPPORT - Compare! Read range: 30MM checkpoint = 2" 50MM checkpoint = 3"
Track up to 16 different tours, unlimited checkpoints.